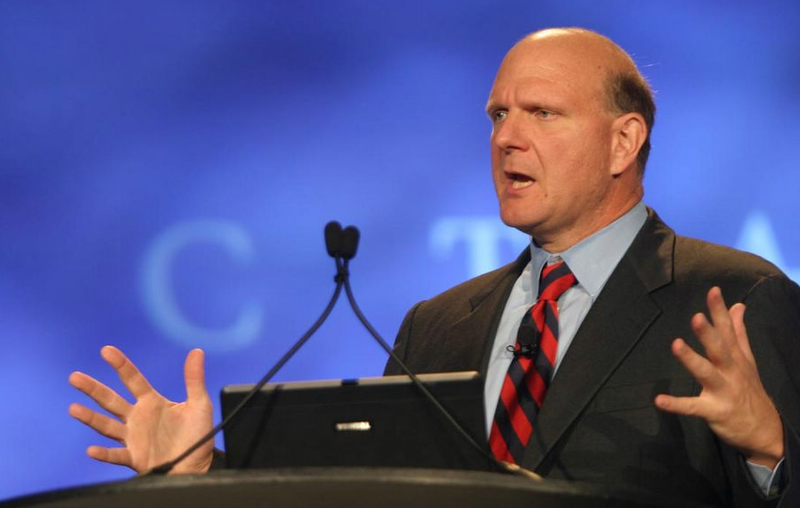 Microsoft’s CEO Steve Ballmer is a galvanizing figure, that cannot be denied. Whether he is a good CEO has been an open question as of late, as calls for him to step down have mounted. But that was expected, as there has been no noise at all that Ballmer has been contemplating stepping down. If those numbers hold up, that would represent a profit increase in the billions of dollars for the company, a stunning amount. Assuming that Ballmer was referring to operating income, and we can’t see this figure being anything else, then Microsoft will earn 2 to 3 billion more than last year. The company pulled in $62.48 billion in revenue the year prior. Microsoft’s stock is trading at a PE ratio of roughly ten at the moment, indicating that the market has little regard for the company’s growth prospects. Over the past few days, the stock has risen, without clear expectation. It could be that these numbers had begun to percolate among traders early, and were the cause of the stock price increase. And finally, if Ballmer’s stated revenue and profit numbers hold up, then the heat might be removed from his chair, at least for now. Update: Microsoft reached out to us with a superiorly transcribed quote that is now included in this post. The company also made it plain that Steve’s comments are not to be construed as an announcement of financial results.